We were immediately drawn to the cover of this book and knew it would be a picture book that needed further investigation. 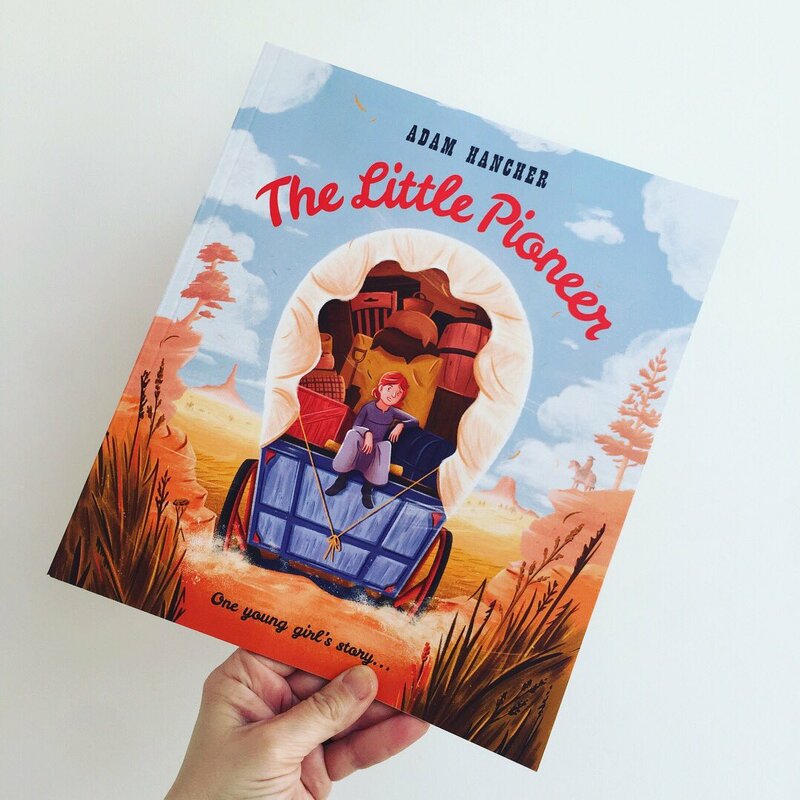 ‘The Little Pioneer’ by Adam Hancher is a beautifully presented story about one of the world’s earliest pioneers. It follows the tale of an intrepid group of families, and in particular one young redhead, as they pack-up and head out West to California for a better life. Life on the American frontier in the mid 19th century had become tough and the challenges they faced meant they had no alternative but to go in search of their own America Dream. In this epic adventure of discovery, excitement and danger we meet a gutsy young girl who initially tackles this unusual journey with great determination and overwhelming enthusiasm. However, she is quickly made aware of how treacherous this enormous voyage is and she begins to wonder if their search for a better life actually exists. Adam Hancher‘s evocative and dramatic illustrations add to the over-arching intensity of this unique story. His clever use of changing palette’s create an additional layer to this already monumental tale and his unforgiving landscapes and foreboding night time spreads need to be savoured. 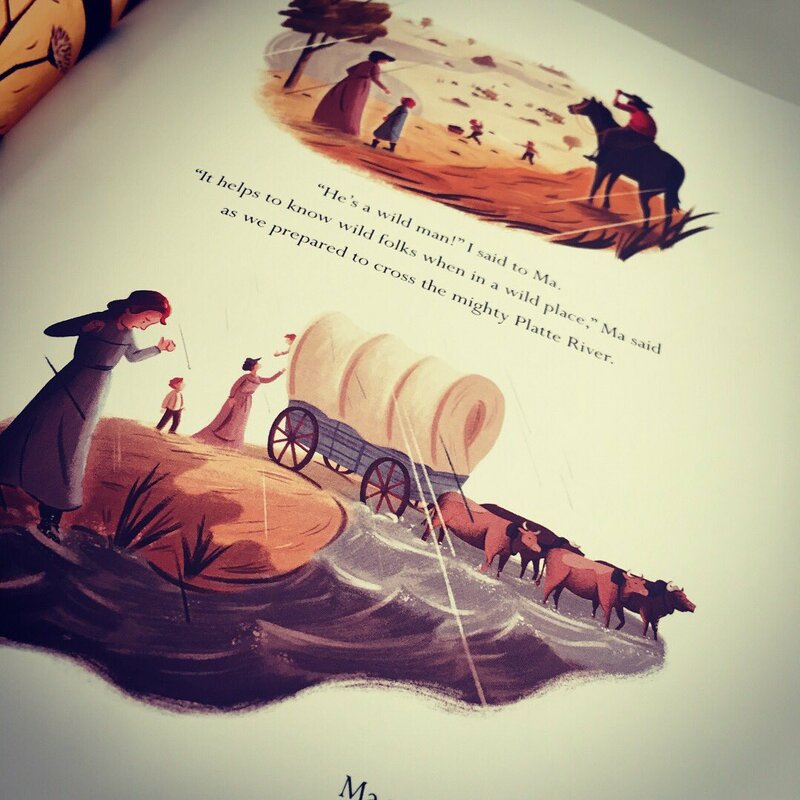 The sprawling, dusty plains and the raging rivers are brought to life by Hancher‘s textured illustrations. 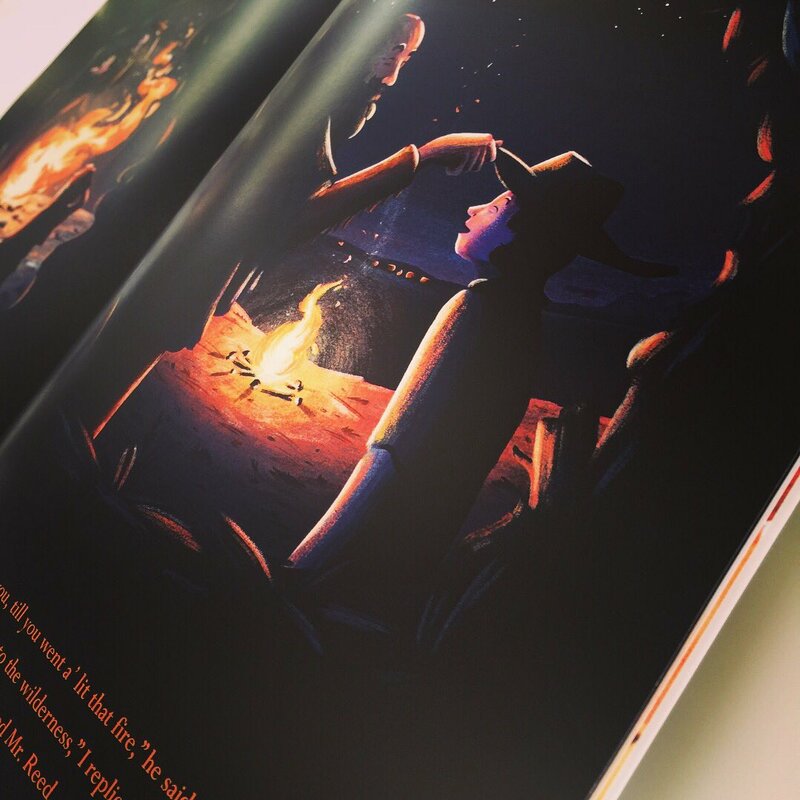 Illustrated with great empathy and narrated in the first-person, this observant and poignant tale is one to be shared far and wide to a new generation. 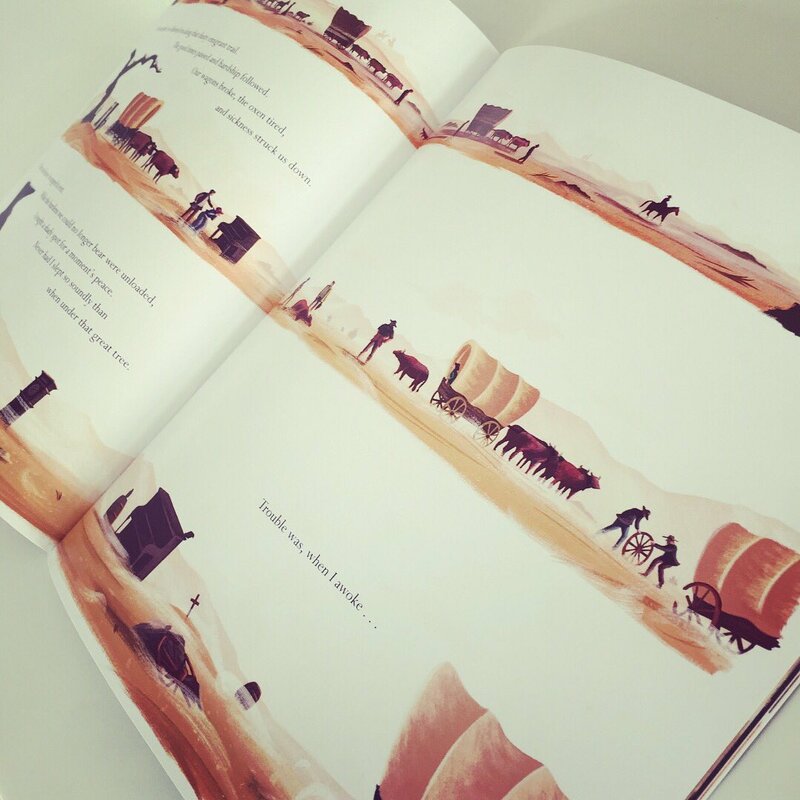 The story is cleverly written in as such that we all climb aboard that rickety old wooden wagon with the family and head out on this mysterious and groundbreaking adventure.